Most of us know that Neil Armstrong was the first man on the moon, but how many of us remember that Gene Cernan was the last? 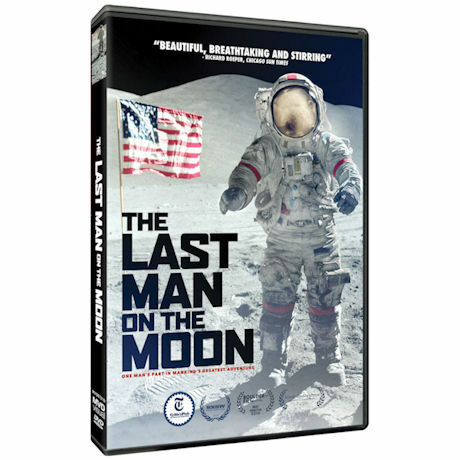 More than 40 years after leaving his footprints and his daughter's initials in the lunar dust, Cernan tells his story in recollections, home movies, scrapbooks, and intimate moments with his closest friends and family. "Beautiful, breathtaking and stirring" - Chicago Sun-Times. 95 min, 1 DVD.